We are living in a highly competitive world with dynamic trends. For you to have a better place thus, you have to adapt to new trends, techniques, skills, styles and modern technology in general. Fast Cleaners Hammersmith Fulham is both a commercial and residential/private home cleaning firm. We have a collection cleaners specializing in all cleaning areas. Our cleaning company Hammersmith Fulham is made up of highly qualified and skilled professionals. Cleaning may be a very sensitive area sometimes requiring utmost care, privacy and trustworthy cleaners. Thus, we ensure our cleaners have the appropriate skills and ability to operate washing machines and handle cleaning tools accordingly to minimize damage to clients’ property. Fast Cleaners’ team is composed of courteous, responsible, honest, corporative, industries, skilled, competitive and qualified personnel in cleaning matters. With a single call to our offices, you can have cleaners at your door step within a short notice. Our cleaners are available 24 hours 7 days a week offering day or night services whichever you prefer. Our team is very social and can give you a nice company while doing their duties. Since they are all qualified, they always advice on the best means to clean and maintain your assets clean for free. 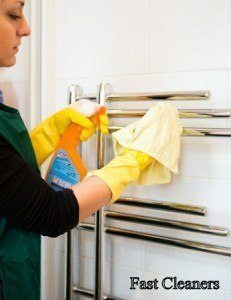 We usually train and retrain all our cleaners to ensure they acquire modern skills and techniques applied in all areas of washing and cleaning. We do provide cleaners on daily, weekly or monthly basis as per the clients’ cleaning needs. In need of qualified cleaner, contact or book our cleaning services. Call us on 020 3322 7168 for more information on our cleaning prices.